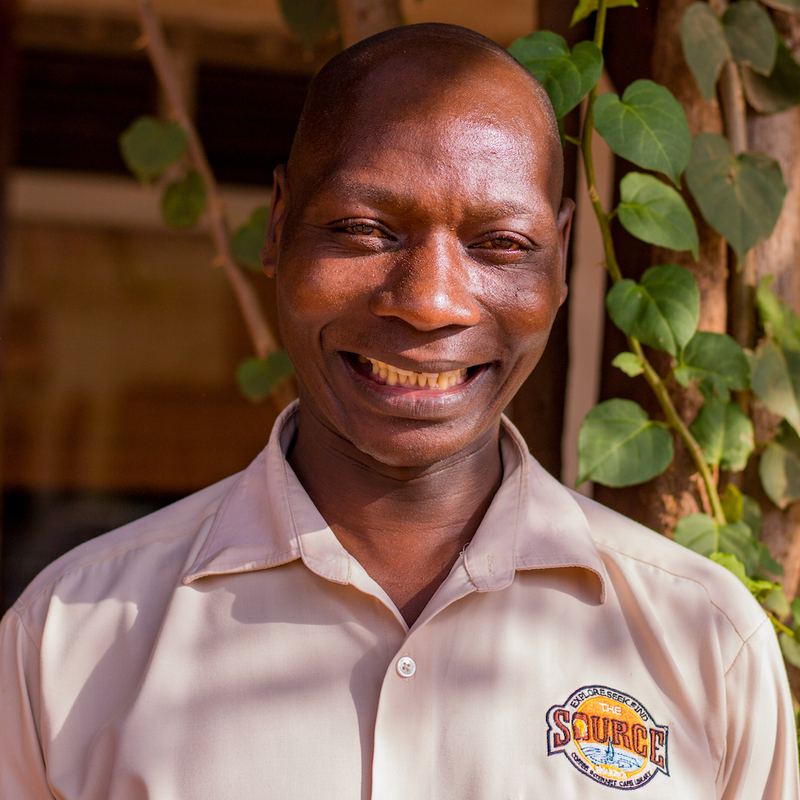 Lazarus has been working at the Source Café since 2000 and currently serves as the head manager. He holds a B.A. in business administration from Nkumba University and believes the Source provides opportunity for employees and a diverse community for visitors. He is married with four children. Born and raised in Jinja, Rogers has early memories of visiting the Source during his mother’s employment at the café. He attended Rochester College in the USA, where he earned a B.A. in business management. 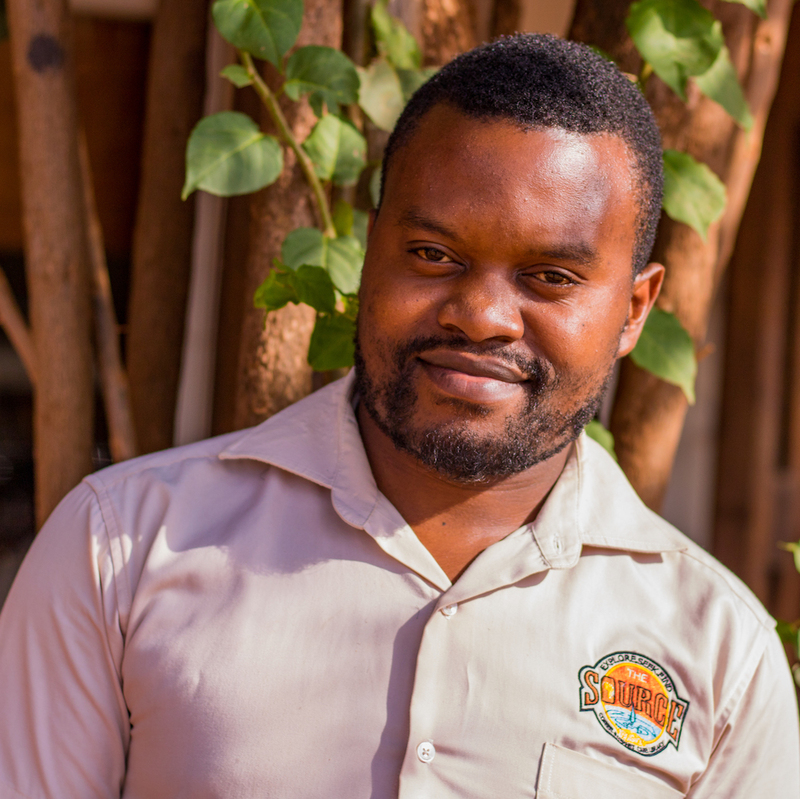 After graduation, he returned to Uganda where he serves as the Source Café manager..
Justine is from eastern Uganda and began working at the Source in 2009. She serves as an accountant for both the Source Cafe and partnering organization Kibo Group International. Sarah, sister of manager Rogers, has also grown up familiar with the Source and its staff. She began working in 2013 as a librarian and cashier and also serves as an accountant assistant with Source partner Kibo Group International. Growing up in Jinja, Timothy was introduced to the Source when attending the Jinja Church of Christ behind the cafe as a child. He served as a Source librarian intern before beginning his career as a chef for the cafe. 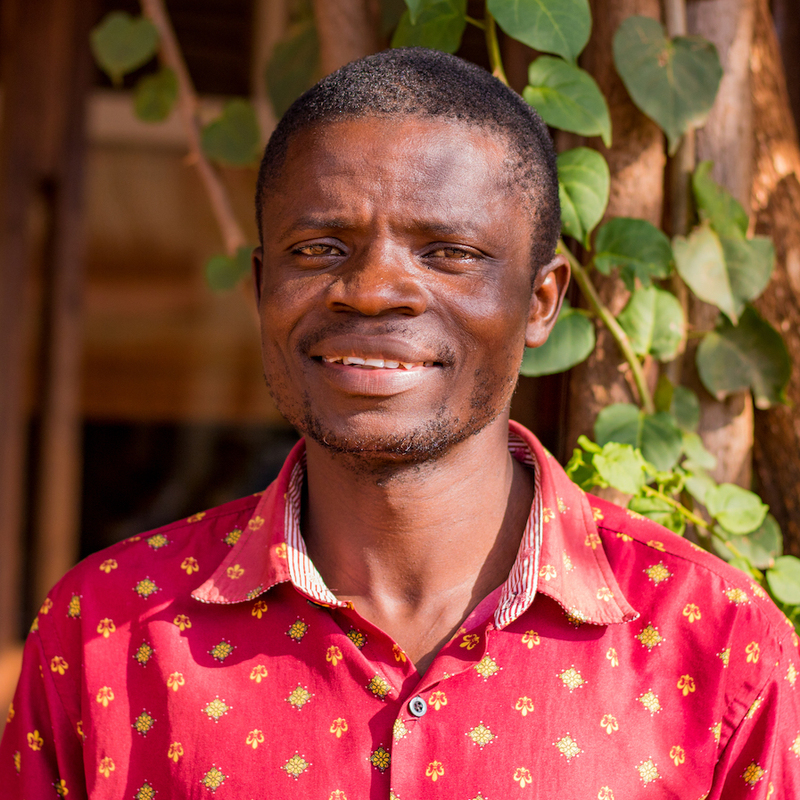 Maximillah has worked at the Source for approximately nine years. She is originally from Kenya and is married with two children. 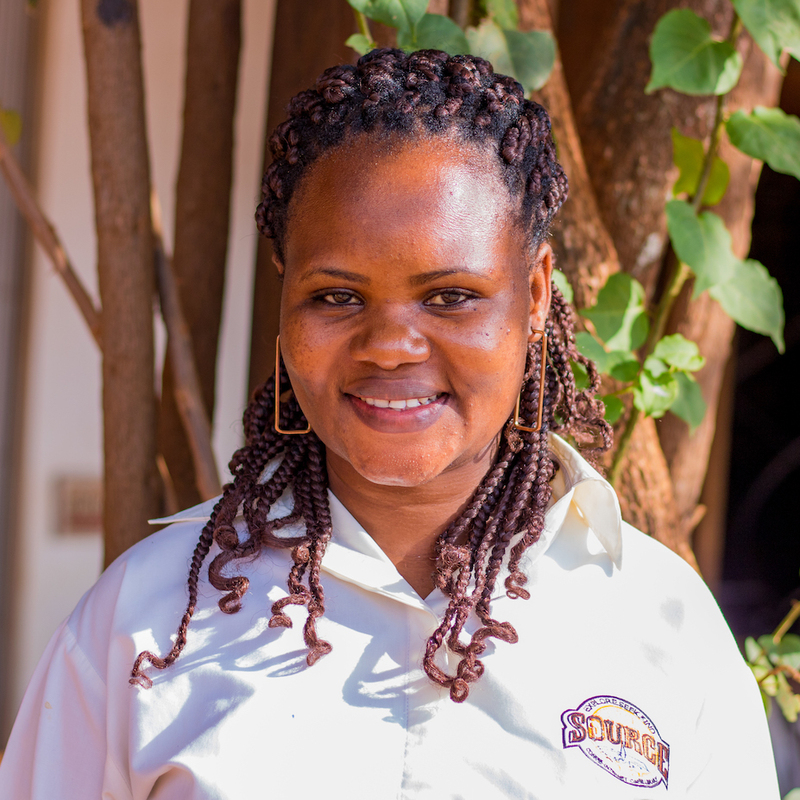 Maximillah said she enjoys working at the Source because the staff is self-driven and motivated. 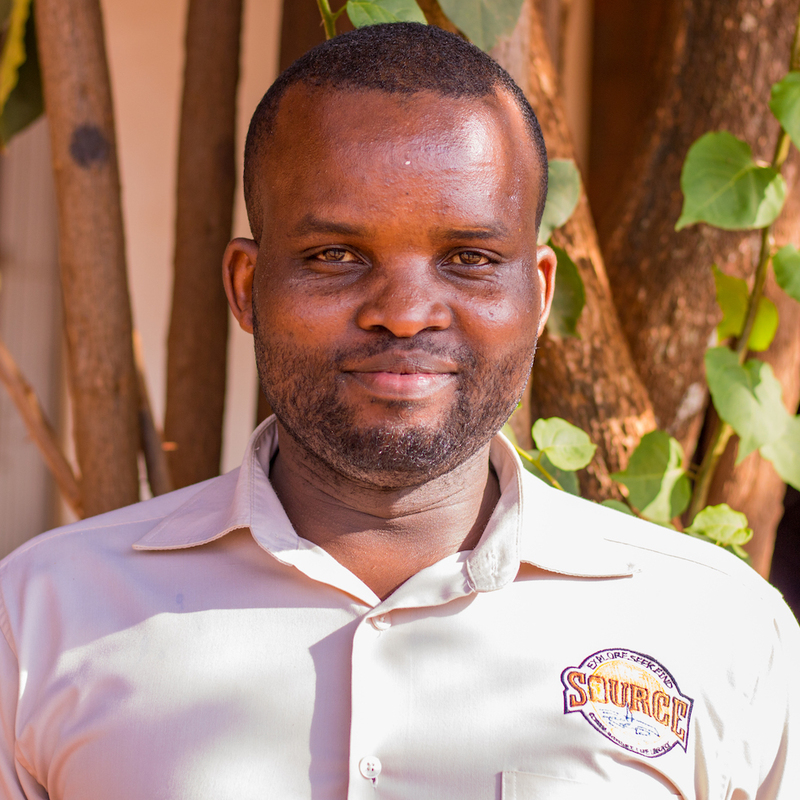 Sam began serving at the Source as a boda boda career in Jinja. He takes pride in working at a competitive cafe with professional employees. A Jinja native, Jonathan began working at the Source in 2016, taking after his mother who served at the cafe for 16 years. He said serving customers brings joy to his job. Richard was raised in western Uganda before coming to Jinja for business school. He holds a diploma from Makerere Business school and says he is thankful for the Sources job opportunities. Joan has worked at the Source since 2014. She has a diploma from Makerere Business School and is pursuing B.B.A. in accounting, She described the Source as a place of "good coffee, good food and good crafts." 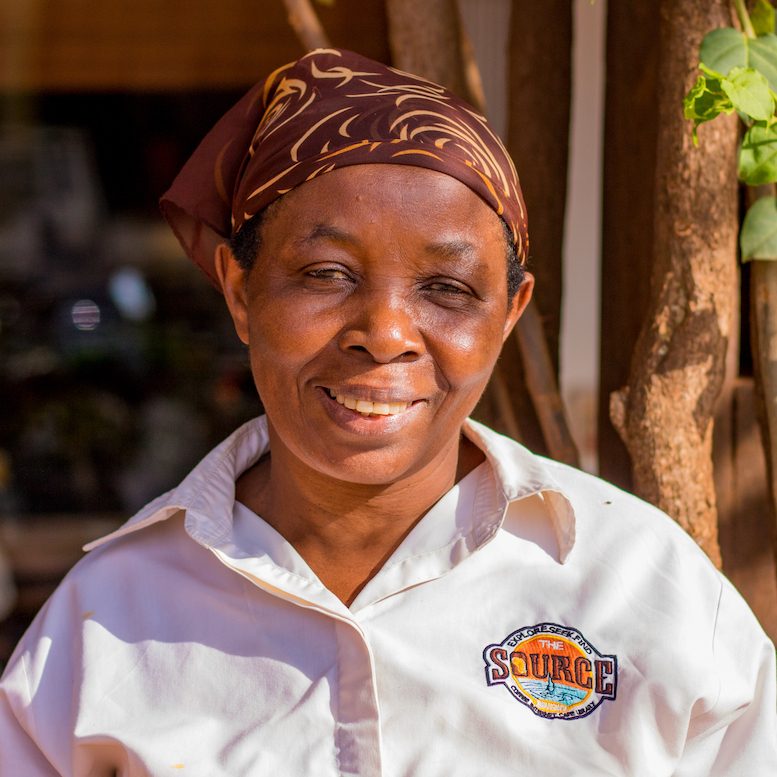 Tofa serves as both a craft shop cashier and a coffee transporter for the Source. He said his job is "a blessing from God," and that he believes his work at the Source is service to God's kingdom. Isaac earned a degree in theology after Nkumba University and African Christian University in South Africa. He enjoys working at a place with many resources.